I will submit your web site to over 350 High PR directories for you. 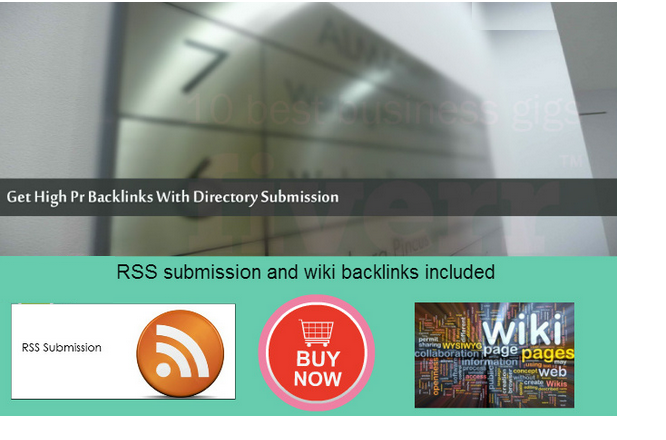 I will also do also do over 250 wiki backlinks with up to 2 anchor text per site and take the RSS feed for your site and submit it to over 90 RSS feed directories. If you do not have an rss feed I will create one for the gig. Free! Google Panda and Google penguin safe! Order now and get your site ranked! the site and a description in English for the directory submission and some keywords. ( directories require this). All urls for submissions must be from the same site. submit your site to over 350 High PR directories plus bonus is ranked 5 out of 5. Based on 1 user reviews.